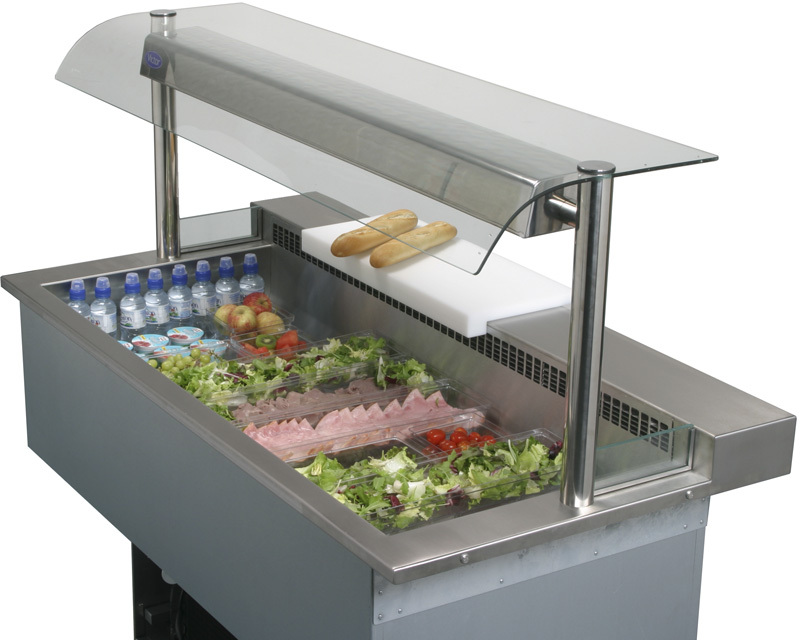 The Synergy range of Refrigerated blown air decks are designed to be dropped into a counter surface to form a food servery. 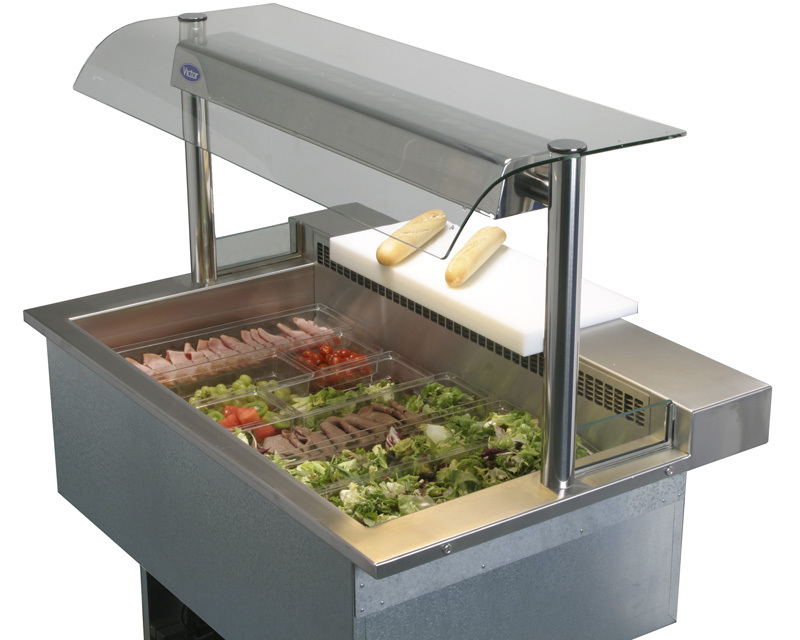 Four sizes in the range which accept 100mm deep GN1/1 size gastronorm containers. Each Synergy display is self-contained and easily installed. Toughened glass screen and over shelf.